Seawings II is a 2018 Lagoon 620 crewed catamaran with a crew of 3 available for charters sailing the Virgin Islands. Experience the culmination of luxury and adventure on board the 2018 Lagoon 620 Essense, Sea Wings II. 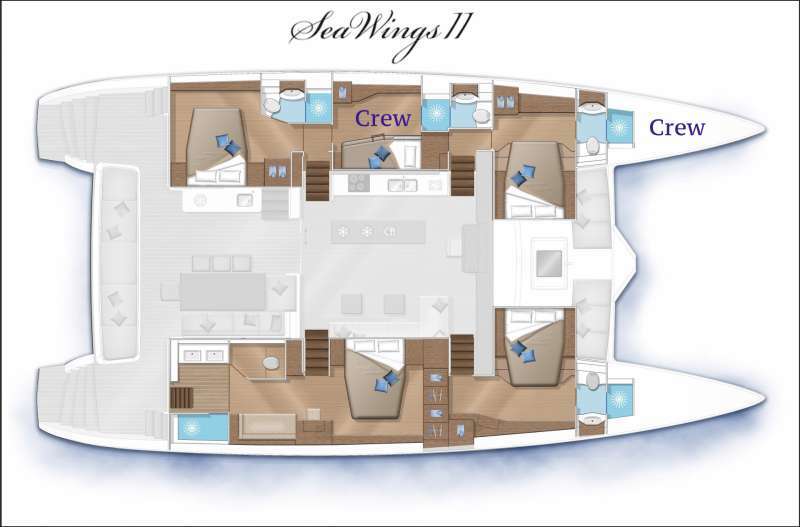 Contact us for rates and current availability or to book a charter aboard Sea Wings II! Interested in Sea Wings II?